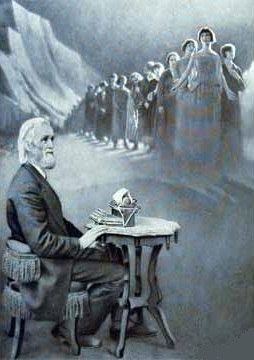 Starting with Christopher Latham Sholes in his dying days, much has been made of the impact the advent of his invention, the typewriter, had on the lives of women around the world. 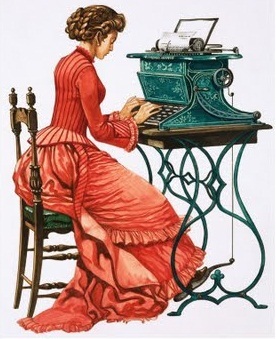 Is there any other machine which matched the typewriter in opening the doors to financial independence for women? For offering so many young women meaningful and reasonably paid work? Most of what has been written has concentrated on the rapid rise of women in the workforce in occupations such as secretarial and other office jobs. 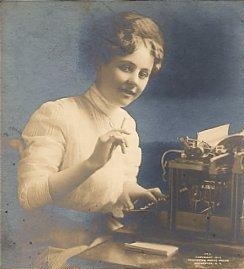 Little has been mentioned about women using typewriters in other forms of employment, in professions such as journalism. There can be no doubt, however, that reporting was one area in which women, allied to the introduction of the typewriter into newspaper offices, began to truly blossom in the 1880s. 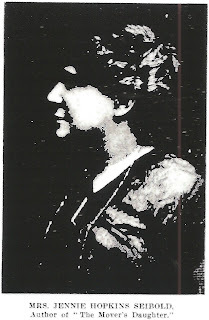 One notable example was Jennie Lind Hopkins (1859-1925). 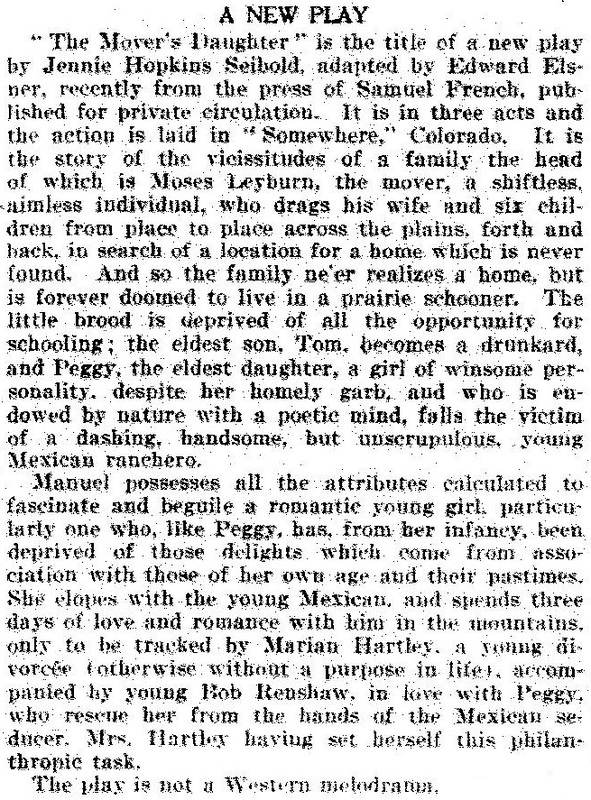 There is a great deal of mystery surrounding Jennie’s early life, which we will come to later. 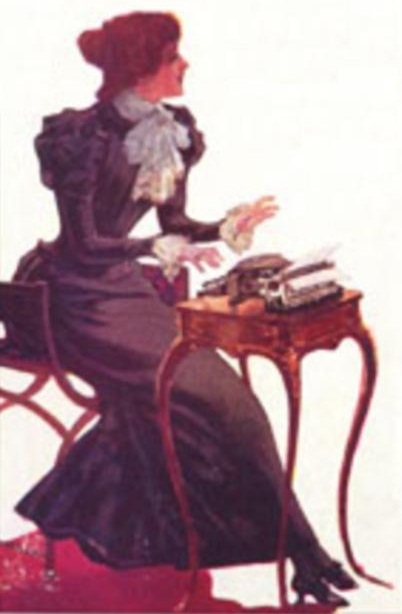 But there is much evidence to suggest that in the later part of the 19th century, she was one of America’s outstanding journalists, regardless of gender. It may seem typical of the times, however, that today she is mainly recognised as being the wife of Pulitzer Prize-winning investigative reporter Louis Seibold, and not so much as a great journalist in her own right. ‘‘Girl reporter. A smart girl reporter in the United States is employed on the Denver Republican. She is a young woman, good-looking, and fairly glowing with the rosiest of health. Her name is Jennie Hopkins, and she has written a book and contributed several very pretty ideas to the Eastern journals and magazines, but her newspaper work is the most remarkable. She has been with the Denver Republican for two years, and in that time she has more than held her own against all the male talent in the town. She takes assignments like a man, and can attend to the routine of the courts or any of the public departments with as much ease as any gentleman on the paper. She goes everywhere, and is afraid of nobody and no thing. The Dawn was produced by an all-women team of editors and printers, despite the opposition of the New South Wales Typographical Association. 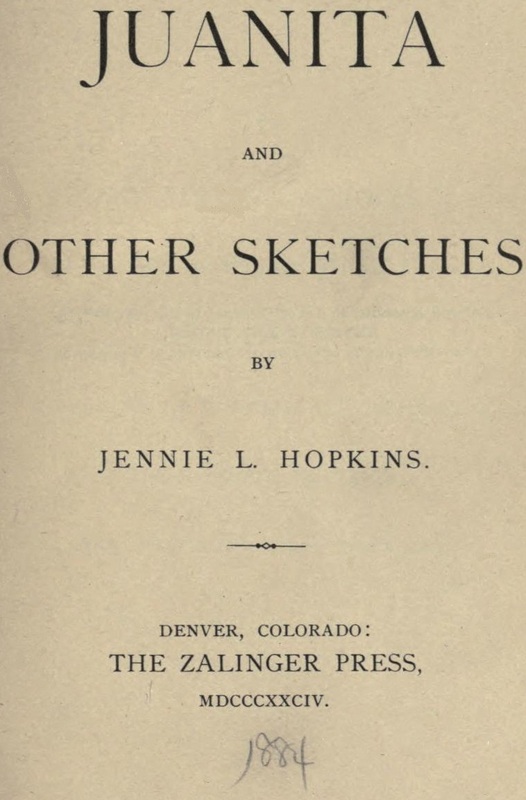 Jennie Hopkins lived with a family called Zalinger in Denver, but whether she was a Zalinger or really a Hopkins seems open to dispute. There were not two Jennie Hopkinses – she was one and the same person. Why there is so much mystery about her background is, well … a mystery! 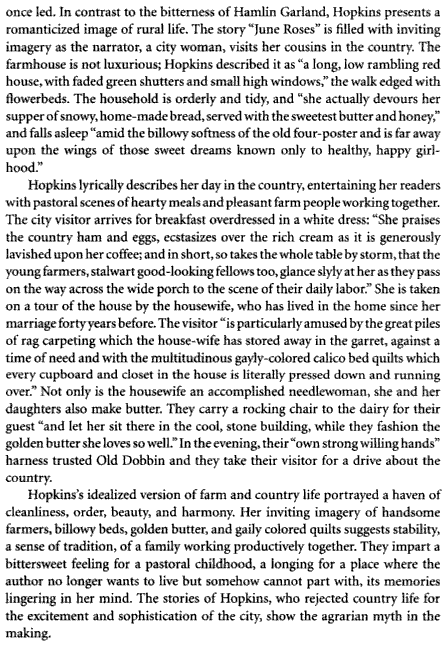 In some publications, it was written that she changed her name to Hopkins. 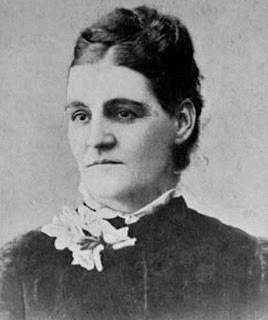 In others, it is said that she was born in Illinois to a couple called Martin and Fidelia Beebe Hopkins, and moved to Denver in later life. At her 1890 marriage to Seibold, she listed her parents as Martin and Beebe Hopkins. It is possible that this part of Hopkins’s upbringing was an elaborate story fabricated to cover her real past. But if this is the case, the reasons are unknown. Certainly, while in Denver, Jennie Hopkins was regarded as the sister of Wisconsin-born Benjamin F. Zalinger (1856-), a newspaper editor and a printer and publisher (he published Jennie’s first book, above) and Lena Zalinger (1846-), who married a well-known Denver doctor, Austrian-born John A. Elsner (1843-). Lena listed herself as born in Vienna, Austria, but other members of the family, including Jennie, were listed as of Russian and Polish descent. Their mother was Russian-born Bertha Zalinger (1838-). The Zalingers apparently immigrated to the US in 1860, the year after Jennie was born (she listed her birth place as in Illinois). Jennie was also said to be niece of West Denver merchant Simon Block (1843-), who was Russian-born. Jennie lived with Benjamin and Lena Zalinger at various stages of her life in Denver. 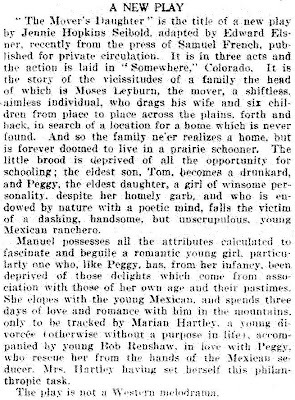 In one late 1880s Denver directory the entry states, “Zalinger, Jennie. 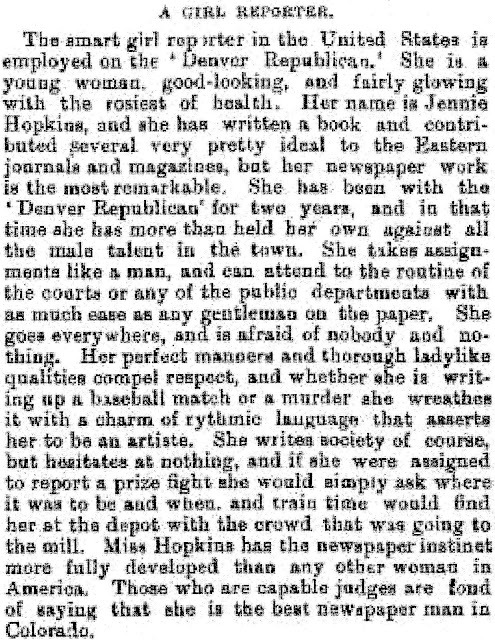 Sister of B.F. and Lena, was Society Editor on [the] Republican [for a] long time, had adopted name of Hopkins”. In the 1880 census, however, Jennie Hopkins listed herself as having been born to Polish-born parents, Martin and Fidelia (also Phidelia) Hopkins, in Fountain Green, Hancock, Illinois, in 1859. Before they were married, Jennie Hopkins and Louis Seibold worked together as reporters in Colorado, according to the 1887 Denver directory. 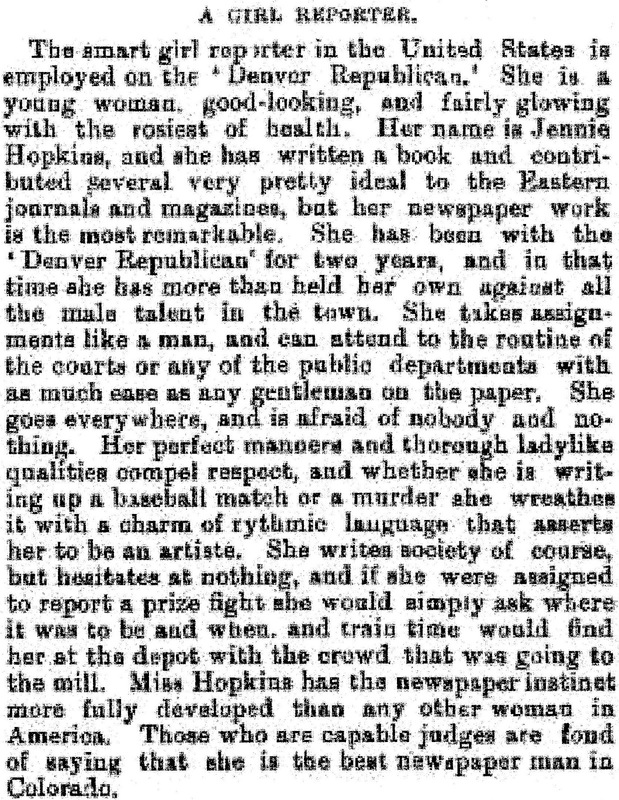 Of the 20 reporters the directory listed as working in Denver at that time, there was only one other woman: Miss Flora A.McLann. Seibold was born in Washington DC, in 1863. His first newspaper job was as office boy for the Washington Post, where he was later became a reporter. After covering the Ute Indian war in Colorado, he stayed in the West and served on newspapers in many western cities. On April 5, 1890, he married Jennie Hopkins in Manhattan, and the couple had one child, a son Martin (born in Manhattan, January 11, 1891) who died in 1918. Jennie died in 1925. 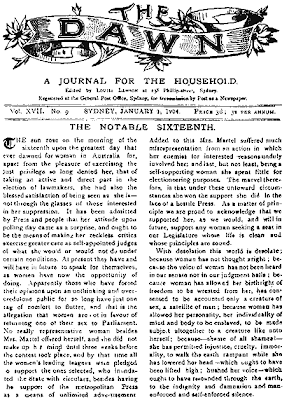 In 1894, Seibold joined the New York World and reported for that newspaper from around the world. He accompanied Woodrow Wilson on his trip to Europe at the end of World War I, covered the Paris Peace Conference and reported on Wilson’s cross-country speaking trip of 1919 to rouse popular support for the League of Nations. Chosen by Joseph P. Tumulty and Edith Bolling Wilson to conduct an interview with the President in 1920, to show that Wilson had recovered from his stroke, Seibold won a Pulitzer Prize for the interview. In 1921, he left the World for the New York Herald and later moved to the New York Evening Post. He died in 1945 in Washington. I'm trying to find out who Jenny Hopkins is, too. I have found her in Illinois with the Beebes in 1870 and 1880 in Fountain Creek. 25 years later, in 1905, I find Rachel Zalinger (now married and divorced and calling herself Marian Leland) living with the Seibolds in New York, listed as the sister-in-law of Louis Seibold. Louis Seibold's Pulitzer was a fraud. I am related to Rachel Zalinger (her mother was born in Russia as Neche Bloch, daughter of Mordechai and Basia (Klinkowstejn) Bloch and one of 11 children who survived to adulthood. Most of their children emigrated to England and America. I am descended from their youngest child, Lena, whose great-grandson married the daughter of a bona fide Pulitzer Prize winner, Richard Wilson.